Last year, we made huge gains up and down the ballot. We elected Congresswoman Kim Schrier and flipped the 8th Congressional District from red to blue for the first time ever. And we flipped 3 seats in the state Senate and 7 seats in the state House. And that's thanks to people like you, who donated a small monthly amount to ensure that we could sustain our ambitious statewide organizing program. But the work isn't over, and we're still on the ground, mobilizing communities all over the state. When you become a member of Rise & Organize, your sustaining monthly contribution allows us to invest in vital organizing work. 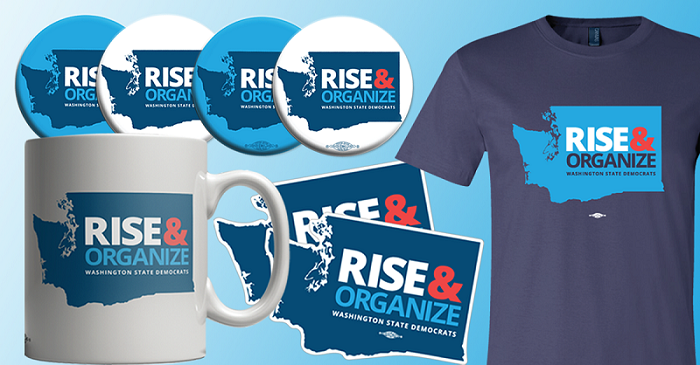 Every monthly dollar raised by Rise & Organize will go directly into field and community organizing in key districts across our state. With your support, we will continue building our statewide organizing infrastructure and march to victory in 2019 and 2020!